John William Waterhouse led a quiet social life in contrast to his paintings which tell tales of vibrant love, betrayal, and tragedy. Often inspired by beautiful yet ultimately tragic women this artist produced over 200 paintings during his lifetime and was highly regarded by his peers and patrons alike. Born in Rome in 1849 to a painter father, Waterhouse was brought up in a very artistic household. His family moved back to London in 1850 and lived in the Kensington area of the city for the rest of his childhood. Often helping his father in his studio and developing his own skills as an artist, the young Waterhouse was accepted into the Royal Academy Schools in 1870. 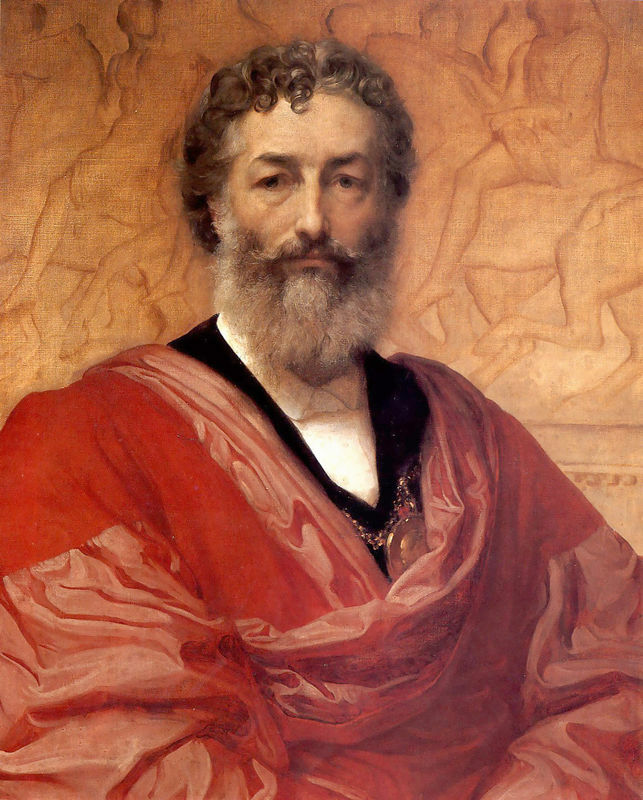 The early works he produced were of a classical style and were heavily influenced by artists such as Leighton and Alma-Tadema. Making several trips to Italy and continental Europe during the 1870s and 80s, Waterhouse found inspiration for is paintings and began to produce large watercolors using classical compositions and the Pre-Raphaelite concepts of beautiful women who were ultimately tragic or powerful. 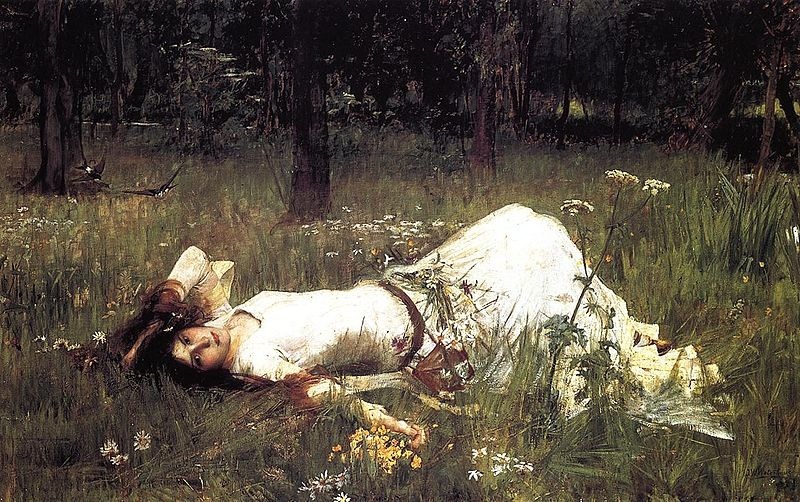 In 1874 Waterhouse submitted his first painting to the Royal Academy's Summer Exhibition. 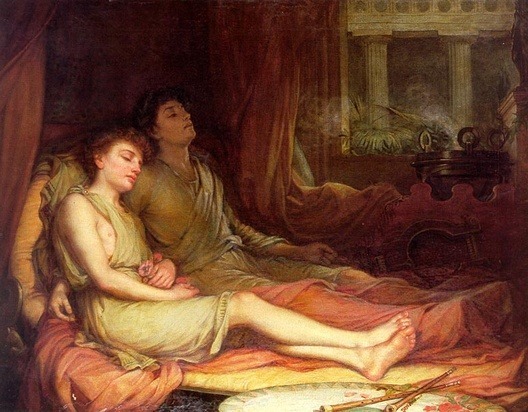 Sleep and his Half-Brother Death was very well received and set the foundation for an annual entry into this exhibition by Waterhouse until the time of his death. Waterhouse married a young Esther Kenworthy in 1883. The couple lived at number 3 Primrose Hill studios; this famous address has since been the home of several other well-known artists, notably Arthur Rackham and Patrick Caulfield. Although Waterhouse painted primarily in oils, he was elected into the Royal Academy as a painter of watercolors in 1883, it was short-lived however as he resigned from the post in 1889. It was during this time that Waterhouse produced some of his most important works, helping to make his reputation as an artist. In 1884 Henry Tate, whose collection would go on to create the now famous Tate galleries across the United Kingdom, bought Consulting the Oracle from the artist. He also purchased in The Lady of Shallot in 1888. These works are still owned by the Tate galleries and continue to draw visitors. In the same year that he created The Lady of Shallot Waterhouse also produced Ophelia and submitted it to the Royal Academy in order to gain a diploma from the institution. In 1895 Waterhouse took up a teaching post at the famous St. John's Wood School of Art as well as serving as an academic for the Royal Academy. The last ten years of Waterhouse's life were overshadowed by illness. He did, however, continue to paint and produced high quality work until the end of his life. 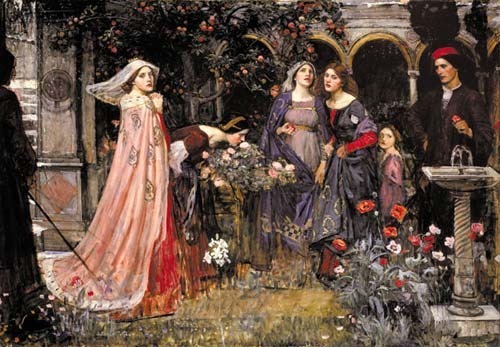 It is a testament to the work of Waterhouse that the Royal Academy displayed his last, work, The Enchanted Garden upon his death, even though it was never finished. Waterhouse died of cancer at the age at 68 and was buried in Kensal Green Cemetery in London. He left no children.